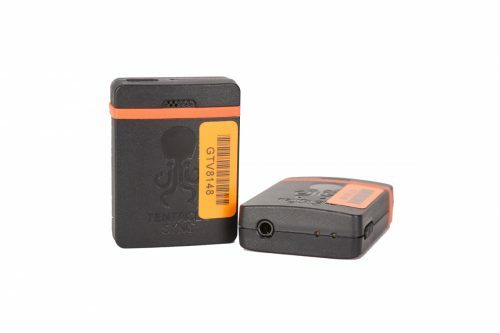 A compact field recorder capable of MS/ Stereo recording up to 10 tracks simultaneously (8 channels plus a stereo mix). 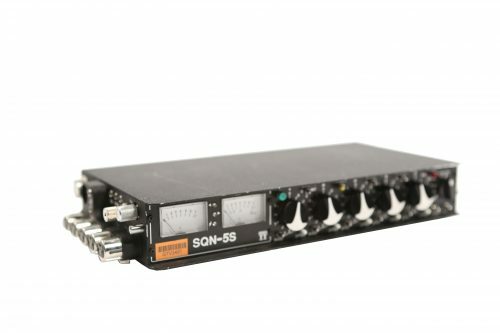 The F8 can also be used on set as a timecode generator as well as jam sync receiver. 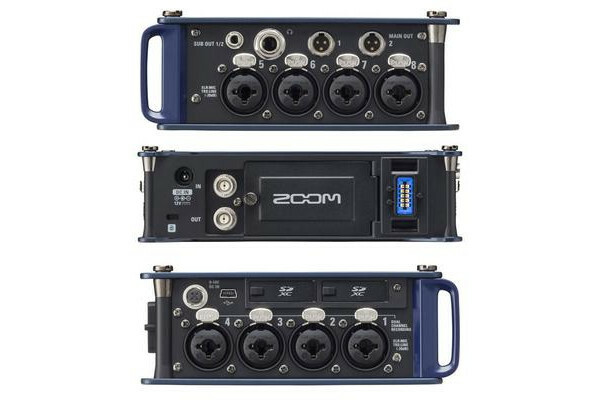 The Zoom F8 is a super compact state of the art field mixer and recorder. 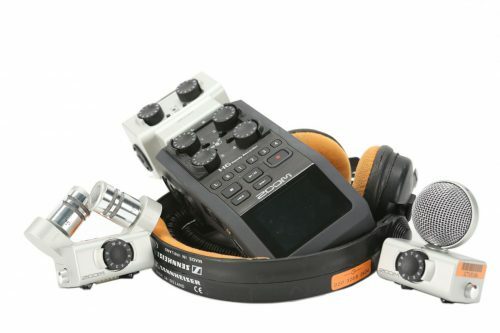 Its sound quality is comparable to the Sound Devices 744 and 788T making it a more affordable and portable option. Its built in limiter is ideal for one man band and small crews avoiding audio blowout with a few milliseconds of delay and calculations before a track is recorded as well as an up to 6 second pre record feature. 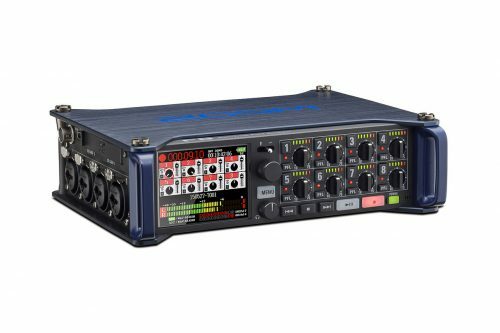 The F8 supports all standard drop frame and non-drop formats, and can jam sync to time code being provided by external devices. An input and output are provided on standard BNC connectors, enabling easy integration into any rig.